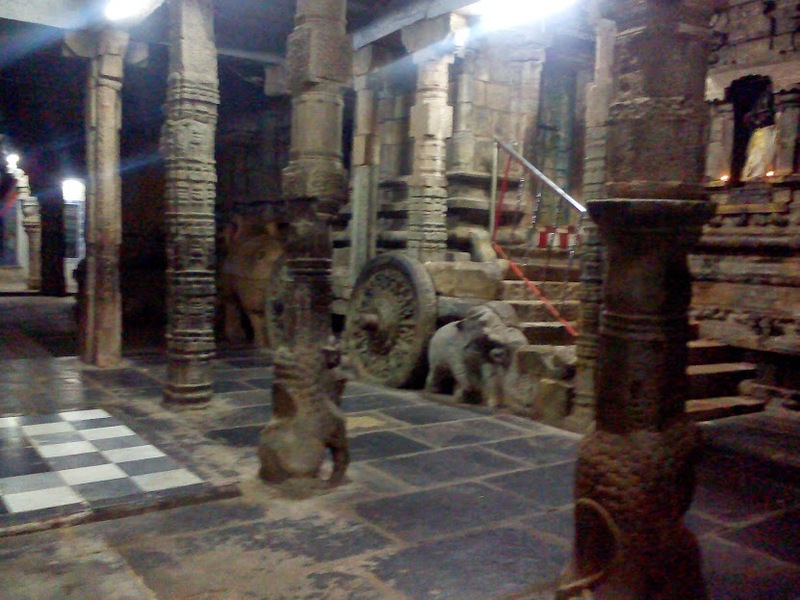 Once , Thirumisai Azhwar came to have a darsanam of Lord Aaraamudha perumal near Kumbakonam at Tamilnadu. Azhwar was very much impressed by Lord’s beauty . While Azhwar was enquiring , Lord casually lifted up His head to get up and reply to AzhwAr as he said said ‘pESu’ in his divine verse ( speak my LORD ) ..
Azhwar did not want to disturb his yoganidra and hence prayed LORD to remain in the same posture so as to bless each devotee coming to HIM praying . The Azhwar thus requested LORD to remain in the reclining position as this posture of LORD looked very attractive . 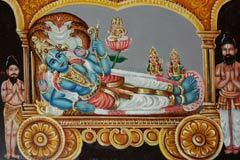 The divine pose of LORD Aara Amudhan is called as Uthra Sayanam and he is thus called as Uthanasai. Lord Aramudhan like Sonnavanam saitha Perumaal of Thiruvekha Divya Desam at Kancheepuram has also received credit for obeying His dear devotee Thirumisai Azhwar. Due to the above reason LORD is glorified as Aramudha Azhwan and the Azhwar as Thirumahizai Piran. The word Piran means Lord. 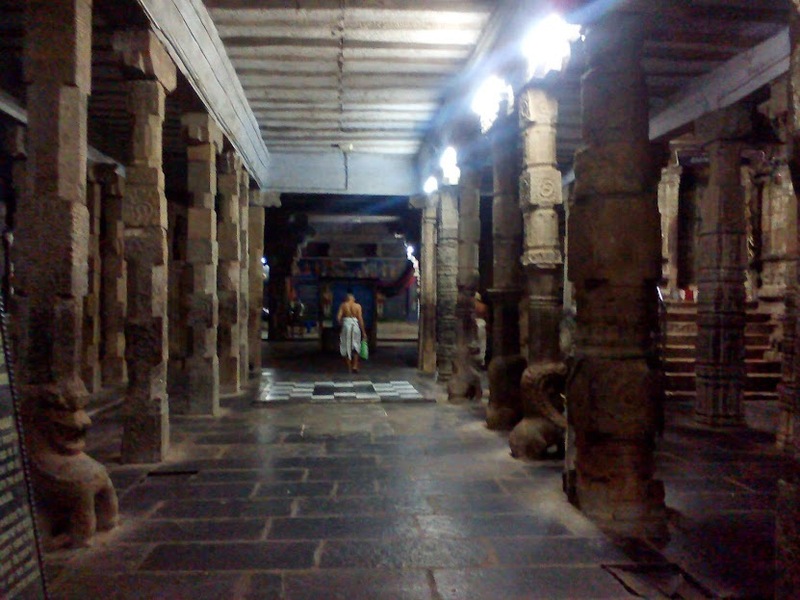 As Thirumahizai Azhwar asked Perumaal to get up from His serpent bed, Azhwar was given the title of “Piran” by LORD . Aramudhan took the title “Azhwan” to show us HIS love towards Azhwar. 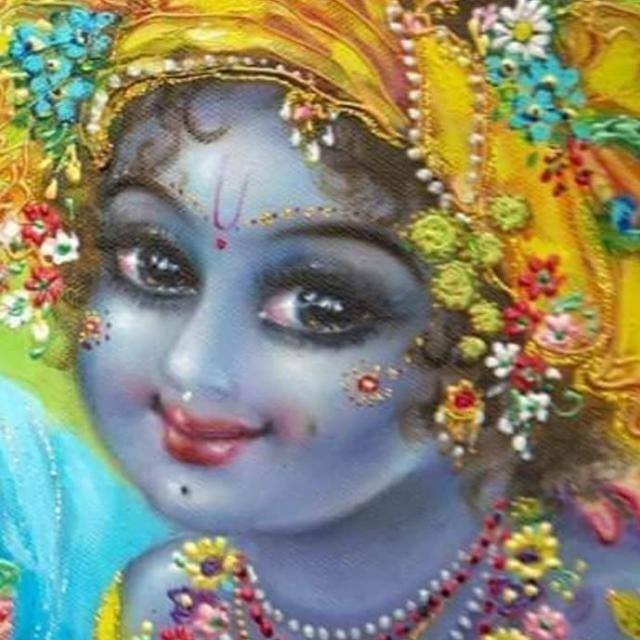 Lord’s sparkling darshanam of his cheeks (so chubby ) pulls our soul to just be there for ever . Lord’s coral lips invites HIS devotee which has a half-smile (“Punmuruval”) indicating HIS mercy and pleasure seeing us. 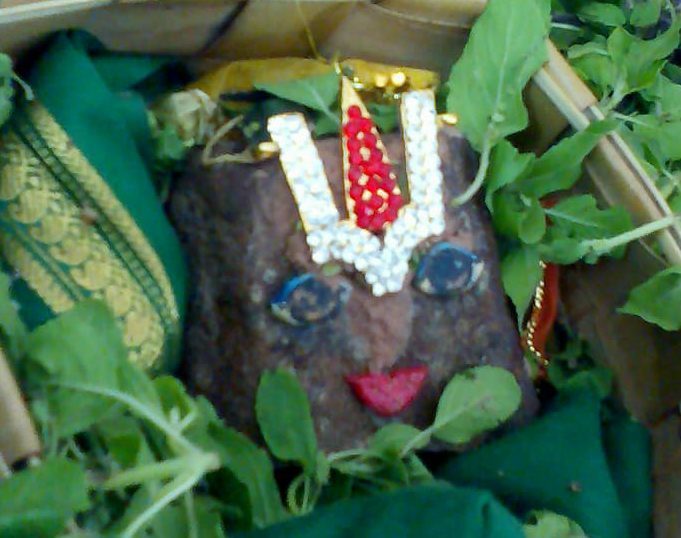 Lord’s broad forehead is adorned by a sparkling green gem, triangular in shape . Lord’s long thighs and then legs, resembles the trunk of a magnificent tusker, encased in soft and supple silk, while the broad and beautiful chest sports several strands of gold and pearl necklaces , with goddess Mahalakshmi. Mother Sri Devi and Bhoodevi grace us on either side of the Lord, in postures of devotion. 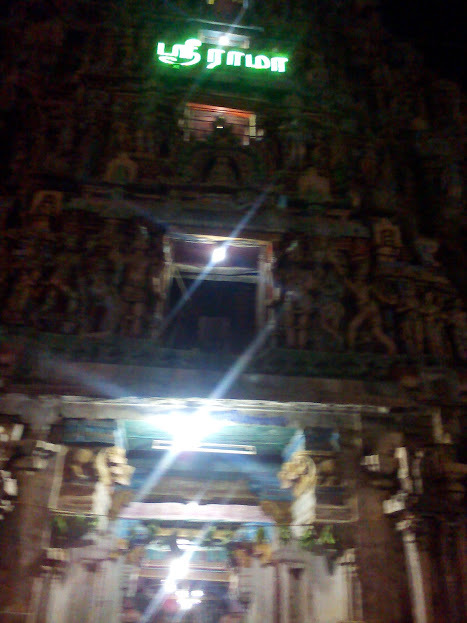 As noticed in Thiruvellarai Divyadesam , similar feature of this beautiful temple is that the sanctum sanctorum has two entrances, each with nine steps-one used during Dakshinaayanam and the other during Uttaraaayanam. Everything about the Lord here is elixir . None of the devotees will exclaim “I have had enough of this Lord”, the desire to see Him and be with Him increases with every darshan . 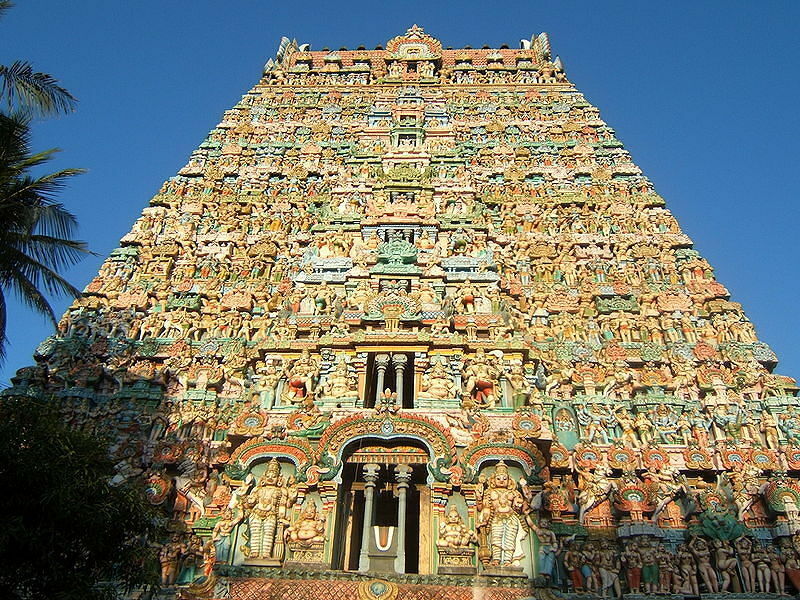 Among the Azhwars seven out of twelve have immersed there divine thoughts and glorified the boundless beauty of Lord Aaraavamudan and devoted around 51 nectarine verses in the DivyaPrabhandam . “Aaraavamudaai adiyen aavi agame tittippaai”. When we relish something very sweet we become sick eating the same recipe repeatedly . This is true for all material and worldly enjoyment all through in our lifestyle. But once we engage our senses towards the omnipotent LORD we find that we can relish HIM continuously without any hindrances and not getting bored. Once we follow the Nava Vidhi Bhakthi as advised by Elders viz: Shravanam , Kirtanam Smaranam , Pada sevanam , Archanam , Vandanam Dasyam , Sakhyam and finally Atma Nivedhanam the purpose of our Life is realised . The more we start enjoying the nectar that is LORD HIMSELF , the more we want to continue enjoying this nectar as our desire for this nectar becomes insatiable . ‘When I have your divine darshan ! my body melts in the love and the separation from your divineself means am washed out with a torrent force of a flood away . Oh Lord! such overflowing emotions…….. grace me because of your abundant mercy you have for me. Lord Aramuda Perumaal compassion on HIS devotees is unlimited . When all of us celebrate Diwali in our houses , LORD performed last rites for one of His ardent devotees. The divine pastime goes like this . He had surrendered all his wealth and everything in the noble service .Narayana swamy who became old ,passed away, on a Deepavali Amavasya day .The devotees were worried about performing his last rites as he had no progeny and neither he adopted any one . His entire life was serving the LORDSHIPS with total surrender . 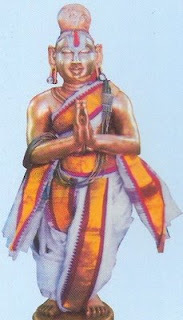 When the Priest entered the sanctum sanctorium of Lord Aramudhan he noticed that Lord was wearing the yagnopavithram in the direction worn while performing last rites. 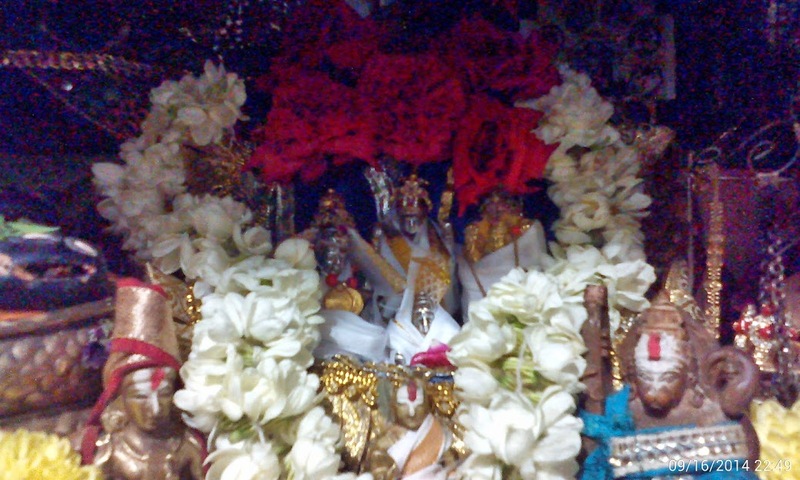 The Priest thought that he had made a mistake while decorating LORD on the previous day. Therefore he corrected the direction of the yagnopavithram but to his utter amazement found that the yagnopavithram switched direction again. The Priest realized that it was Lord’s way of saying that He was going to perform the last rite for his devotee Narayana . And ever mindful of His duties, He continues to perform the annual shraaddham for this sincere devotee , to this day. 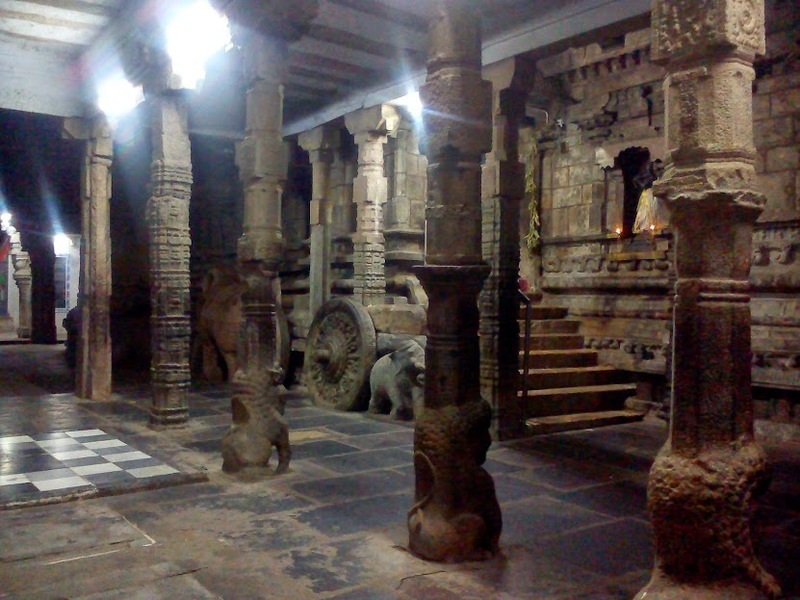 Narayana’s sculpture with folded hands adorns one of the pillars in the pradikshina marga . Lord performed the last rite for Jatayu during Rama Avataram and as Lord Aaramudhan performed the rites for his devotee Narayanaswamy. Next postSwamy Pillai Lokachariar …. The most revered Acharyar of Universe …..
i got a very ood information,as well as how to do bakthi without any expection and sincre bakthi, thankyou very much for this information. 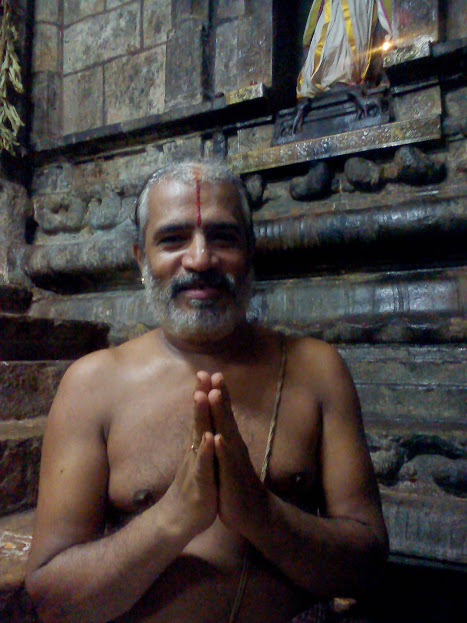 Lord Aravamudan performed last rites for a Devotee Narayana! 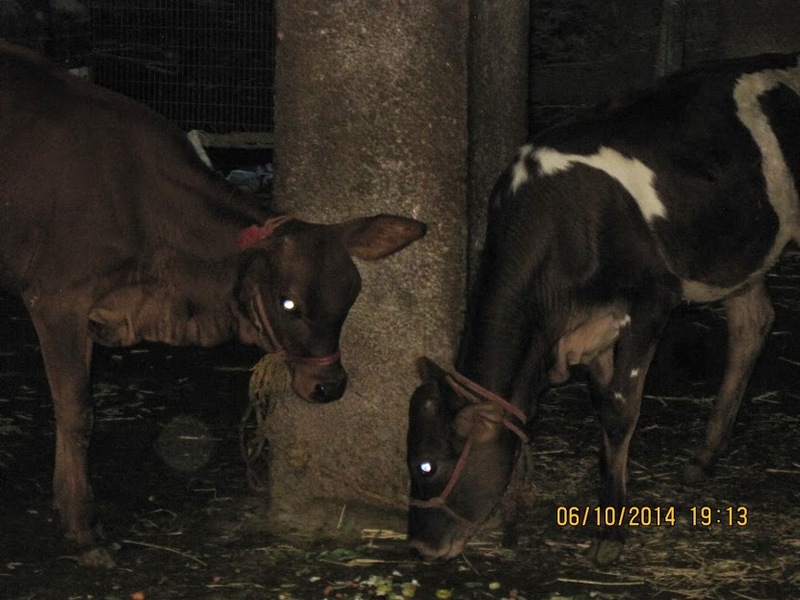 Once we instal Aravamudan in our hearts, we need to fear less on any angle of our life – Living or Dead! All incredible information you pour out Varadan, our encyclopaedia you are! GREAT Indeed! Superb and thanks for all information you provide us….Words are not enough to praise your noble endeavor.